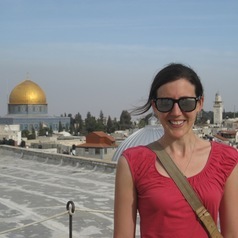 Julie M. Norman, PhD, is a Research Fellow at the Mitchell Institute for Global Peace, Security, and Justice at Queen's University Belfast (QUB). She is the author of The Second Palestinian Intifada: Civil Resistance (Routledge 2010), and the co-editor (with Maia Carter Hallward) of Nonviolent Resistance in the Second Intifada: Activism and Advocacy (Palgrave 2011) and Understanding Nonviolence (Polity 2015). Previous positions include lectureships at McGill University and Concordia University in Montreal, Canada, and research fellowships at Dartmouth College and MIT in the United States. Dr. Norman has a PhD in International Relations from American University in Washington, DC.